Looking for tips on managing financial stress? Read on! I am sure that we’ve all worried about our financial situation at one point in time or another. Financial stress is real. And it can have a truly negative impact on our health and well being. The good news is that we have control over our finances. It’s up to us to stop worrying, be mindful, educate ourselves, and take charge. By effectively managing financial stress, we can look forward to the joys in life like traveling and taking vacations more often. 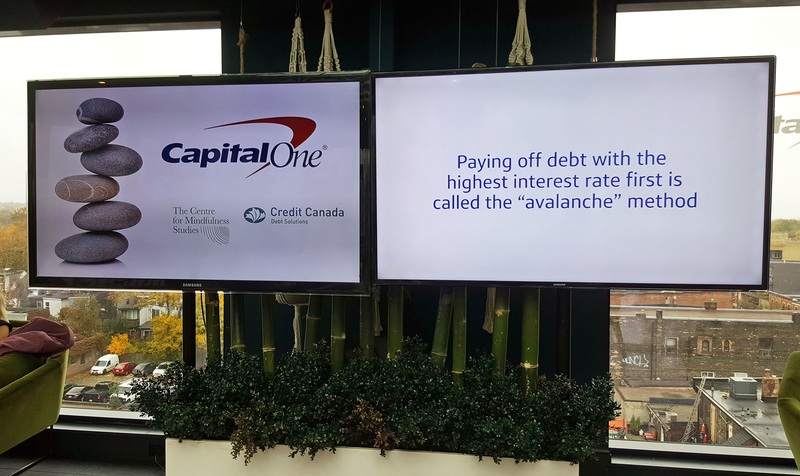 I’ve partnered with Capital One Canada to show you how to deal with financial stress for a healthier and more fulfilling lifestyle. I encourage you to participate in Credit Education Week to review your spending and saving habits in a mindful way in order to achieve financial goals, such as paying down debt and travelling more often. 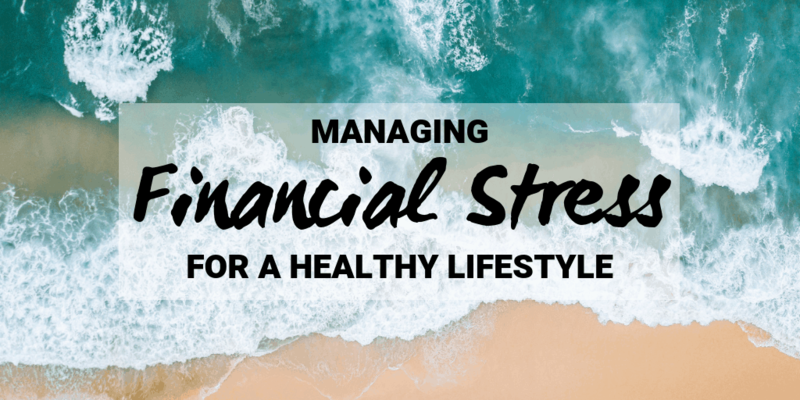 Managing Financial Stress…Or Avoiding It? Worrying is completely natural. However, it becomes unhealthy when the amount of worry becomes overwhelming and we don’t do anything about it. I’m not sure if you can relate, but I’m definitely the kind of person that tends to overthink situations and gets stuck in a cycle of worrying. The majority of Canadians spend at least one hour a day worrying about money. That’s 365 hours a year. In that time, you could drive across Canada nearly five times. According to The Foreign Services Institute, you could be 3/4 of the way to becoming fluent in a second language. We are wasting a lot of time worrying. The best thing you can do is take charge of the situation. Take control and use the tools that you have at your disposal to positively create change in your life. Not sure where to start? By the end of this blog post, you’ll know exactly what to do. Our financial burdens are impacting our mental health in a negative way. In fact, 44% of Canadians believe that their mental health is affected by financial concerns like total debt load, affording essentials, housing affordability, and credit card debt. Do you fit into these statistics? Would you rather suffer through a long-haul flight sitting next to a complete nightmare of a passenger? I’m going to show you that it doesn’t have to be a cringe-worthy experience to review your personal budget. By managing financial stress, you will be better off. You’ll be able to enjoy daily life more often without worrying about your debt or affording basic necessities. You won’t have constant FOMO (fear of missing out) when it involves the pleasures in life. Don’t be one of those people who would rather have a root canal than develop a strategy for managing financial stress. My blog is devoted to travel. I love helping you plan your trips, making the most of your time abroad, and making travel a regular part or your life. Travel is an investment in yourself. By allowing yourself to learn about the history and culture of destinations around the world, you’re developing a better understanding of the world. Travel broadens the mind. You’re able to witness the landscapes of the world, from vibrant cities to spectacular natural wonders. 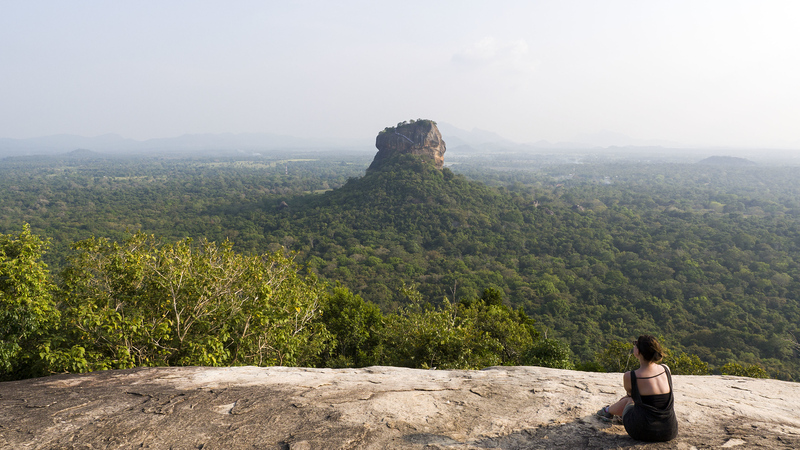 I don’t need to convince you that travel can be thrilling, relaxing, exciting, and fun. It’s an escape from the everyday. It’s a way to create memories with your loved ones. 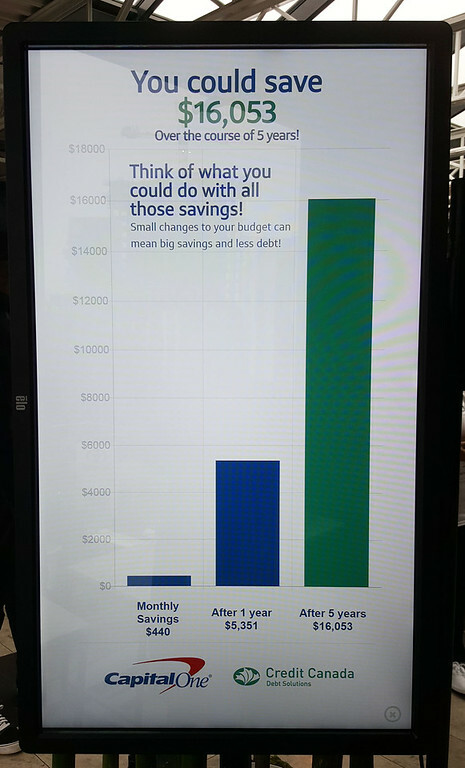 I hate learning that the majority of Canadians will make extreme sacrifices to be debt-free. Travel and vacationing is the most popular expense to be cut from the budget. 23% of Canadians are willing to never take a vacation to relieve themselves of their debt. Millennials are hit the hardest by the need to save money; 53% of Millennials have missed out on vacations due to financial situations. Travel is one of my greatest joys in life, and I hate hearing that many of you don’t get to experience it. There are effective ways to deal with debt that don’t involving missing out on your holidays. 20% of Canadians are embracing a no-spend diet. You don’t need to go to these extremes to take control over your budget. We can be responsible and have an enjoyable life. Life is too short to never take a vacation. I’ve established that we are worrying about our finances so much that it is affecting our daily health and well being. It’s possible that we are not discussing or reviewing our own finances at all. And to top it all off, we’re missing out on the joys in life because we are burdened by our own finances. Let’s stop this cycle of debt and stress. 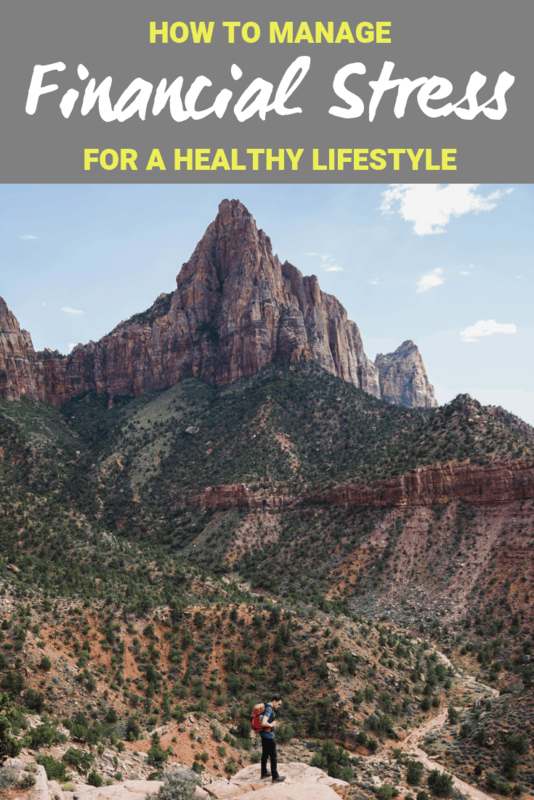 By taking action, we are managing financial stress in order to gain financial literacy, improve our mental health, and have rewarding experiences like vacations. Here are some ways to deal with financial stress to enjoy an overall sense of well being. Create a budget based on your income. Track your monthly spending, including rent, transportation costs, savings, and discretionary purchases. By creating a budget, you can easily see where you spend your money, where you can make cuts, and how you can relieve financial stress. Regularly track your spending habits. You might find that you can cut certain spending habits out of your life without any trouble in order to travel more, for instance. Check out my budgetary travel guide, How I Afford to Travel So Much. If you find that your debt is getting out of control, you can get help for free from a non-profit counselling agency like Credit Canada Debt Solutions. Don’t go too crazy with your credit card. If you find that you’re carrying a balance from month to month on your card, you need to review your spending habits and pay down your credit card bill. Regularly monitor your credit score. Capital One’s Credit Keeper allows you to stay on top of your credit situation with its weekly updates, as well as understand the importance of maintaining and building a good credit score. Participate in Credit Education Week. It’s a national effort to increase financial literacy and important credit education. The theme for this year’s Credit Education Week is Money Mindfulness, and it runs from November 13th-16th, 2018. Being mindful with our finances is incredibly important to dissipate the stress that’s typically involved with our personal budgets and debt. 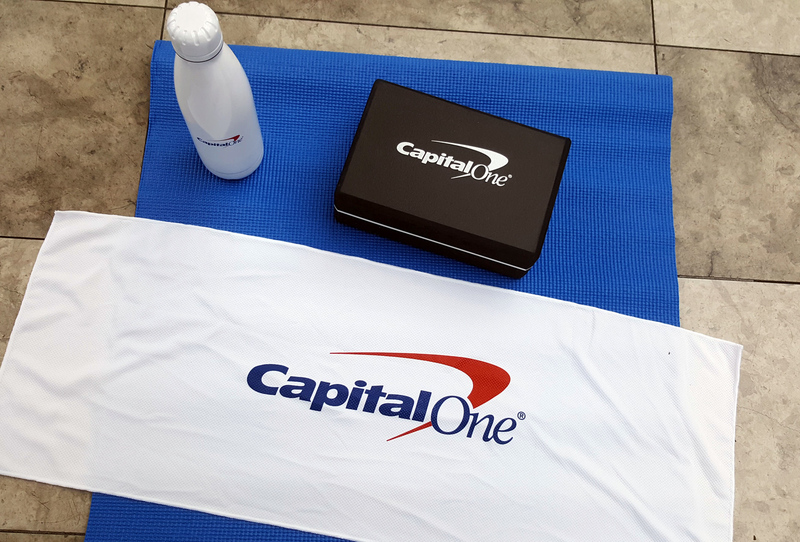 Capital One is hosting a “Money Mindfulness Oasis” to the public. I was fortunate enough to attend a sneak peak of the event, which includes curated stations of fun and informative activities. 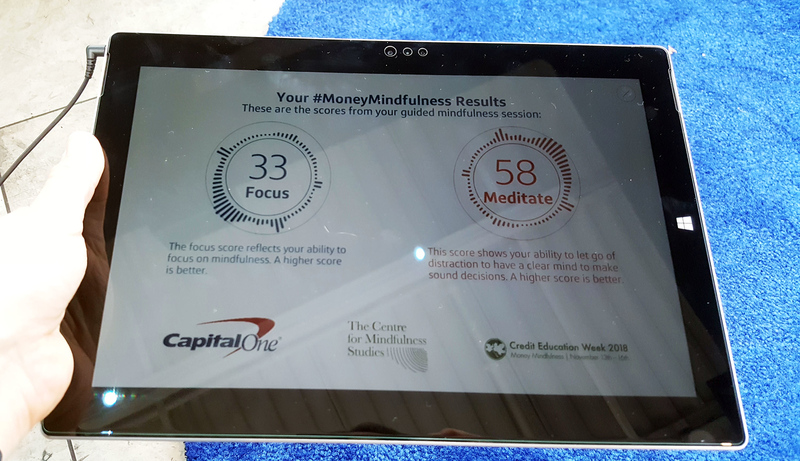 One station was a Money Mindfulness Quiz where I was asked five questions regarding credit and finances. While I consider myself to be fairly financially literate, I only got 3 out of 5 correct. I’m sure we can all learn a thing or two at Credit Education Week events! 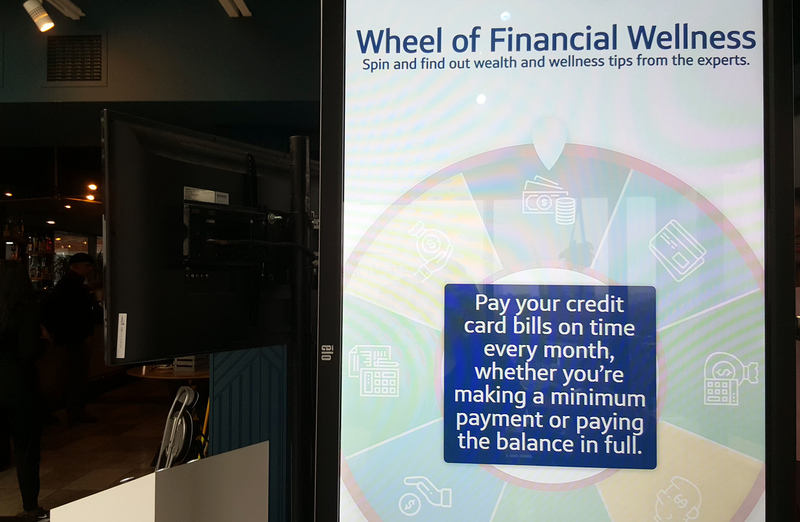 Next, I visited the Wheel of Financial Wellness. Spin the wheel to discover a fun fact to help you on your path to financial wellness. My favorite station was the Budget Calculator. Select the items that you feel you can easily do without. 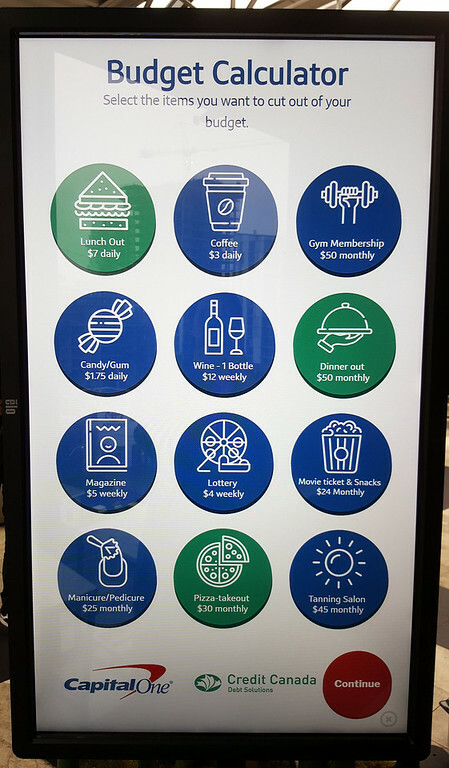 I picked “lunch out” ($7 daily), “dinner out” ($50 monthly), and pizza take-out ($30 monthly). It’s definitely healthier and cheaper to cook my own meals at home. I figured that I could find another way to save $5 per day (walking somewhere instead of driving, making coffee at home, or buying a grocery item on sale). Add it all up and over 5 years, I’ll save over $16,000! I bet you’d feel a lot less stressed with an extra $16,000 in the bank! 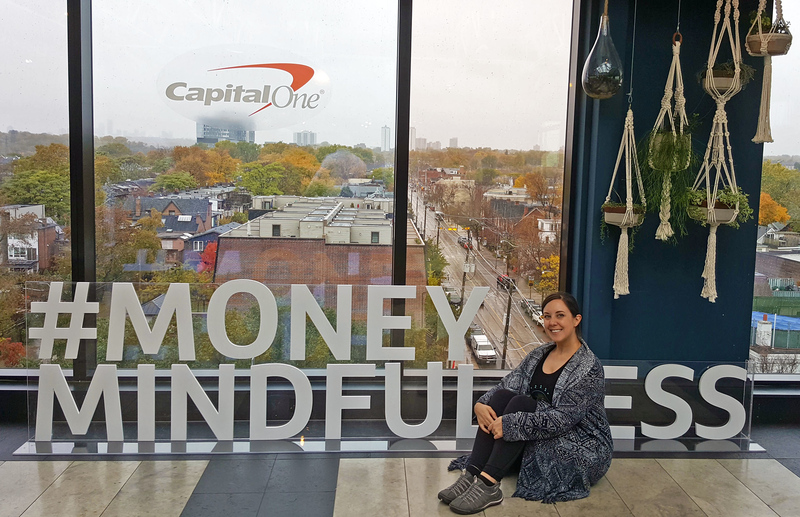 You’ll want to attend Capital One’s Money Mindfulness Oasis to try their guided meditation tool. I realized that I need to focus on the present and learn how to simply stop and breathe. By taking the time to breathe and meditate, my stress levels dropped. If you are living in the present moment and you aren’t stuck in that cycle of worrying, you will feel much better. I also became familiar with an important organization. The Centre for Mindfulness Studies is a charitable social enterprise that provides effective mindfulness-based mental health services to the general public. If you find yourself suffering from stress, anxiety, or depression, they will help you learn mindfulness to better cope with Learn mindfulness to better cope with these mental health challenges to enhance your well-being. At the end of this Money Mindfulness Oasis preview, I was treated to a JOGA class with Jana Webb, the founder of JOGA. What is JOGA? It combines yoga with the bio-mechanics of sport, creating a version of yoga made just for athletes. Through breathing, moving through the postures, and relaxation, I certainly felt stronger and invigorated by the end of the class. 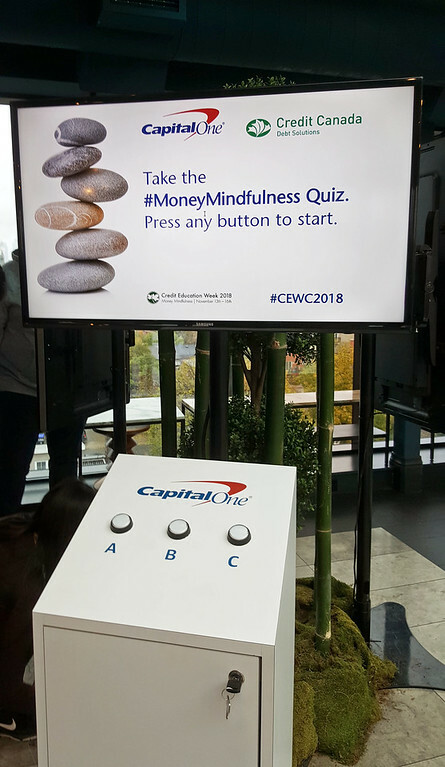 Interested in checking out Capital One’s Money Mindfulness Oasis? You can discover the tutorial stations where you can learn tips and information about managing financial stress. You can also achieve a state of mindfulness through a guided meditation session. 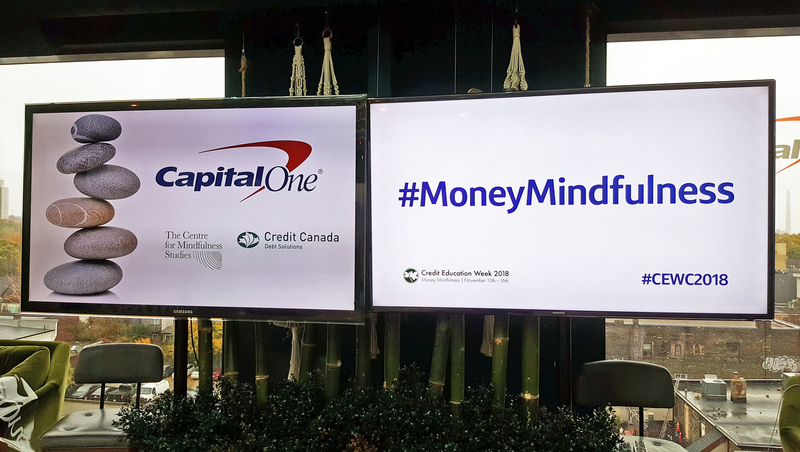 Attend the Money Mindfulness Oasis from November 7th – 11th at Woodbine Mall from 10:00am – 9:00pm. You can check out all of the events for Credit Education Week by clicking here. Armed with the proper information and tools at our disposal, we can take control of our own financial situation. You won’t need to sacrifice everything to enjoy what makes you happy in life, such as traveling more often or going out on a date night. Self care is so incredibly important, and this includes taking care of yourself financially, too. Do you have any additional tips for managing financial stress?